SmartOne® Intelligent devices and modules provide initiating and control inputs and outputs from a single pair of wires on a Signaling Line Circuit (SLC). All SmartOne devices and modules are designed to provide world-class space/hazard detection and suppression outputs when needed. They offer greater capacity, flexibility, and reliability than conventional and analog detectors because of a built-in microprocessor that gives them on-board intelligence. These unique SmartOne® Detectors provide true distributed intelligence by storing and analyzing calibration data and pre-alarm and alarm values. Each detector head continuously makes on-location decisions and reports status to the Central Control Panel as required. This distributed intelligence architecture, featuring an intrinsic microprocessor in each individual detector, analyzes data and makes decisions within the monitored area. CPD-7052 models are dual chamber ionization type detectors which sense both visible and invisible smoke. A unique sensing chamber design permits full 360 degree smoke entry and response. 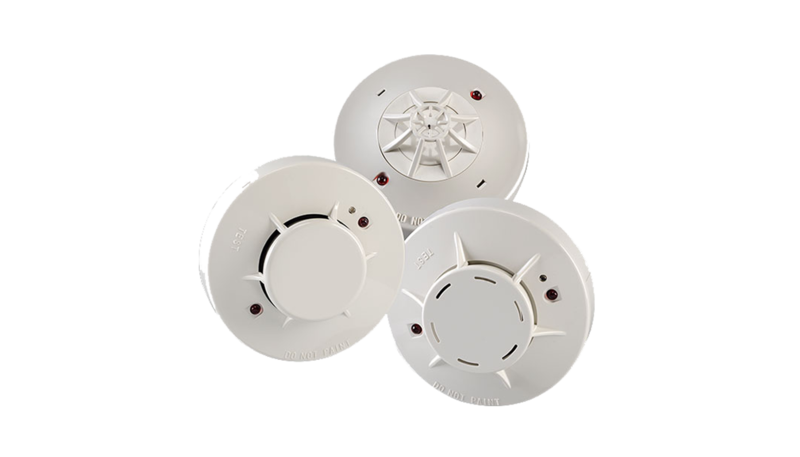 PSD-7152 models are smart photoelectric smoke detectors. These detectors will respond to a broad range of flaming and smoldering fire conditions. The photoelectric smoke detector can be used for open-area application as well as duct mounting applications with air velocity of 2000ft/min up to 4000ft/min. Model THD-7252 are thermistor based analog devices that can be programmed to respond to fixed temperature without problems associated with thermal lag. The SmartOne thermal detector can be used for open area applications applications as well as in-cabinet applications.